The filling stitches of Beyond TAST challenge was explored a little in this week. A few more worked and needs to be posted on the blog. The 73rd and 74th week stitches of SSS challenge were worked during this week too. The images are also waiting to be posted. It is hard to find time to work on the computer. The squares marked on this red and black tunic were filled with closed herringbone stitches. The stitches were then pinned down with chain stitches. The outlines are also worked in chain stitch. Since, the thread used is the same colour as the red fabric, the work is not clearly seen. The sleeves did not have the black fabric outline as the neck, chain stitch rows were worked on both sleeves in black thread. An idea of stitching red stones on the red fabric has to be tried. The work on stitch challenges are still lagging in this week too. This is the last week on the current Beyond TAST challenge. I am hoping to start on SSS challenge stitch today. 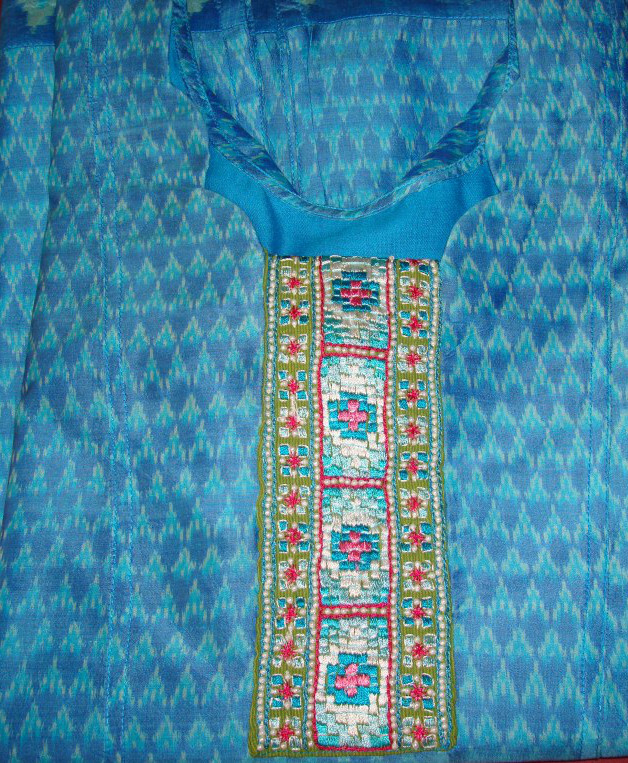 The embroidery on Aqua green was completed and the tunic is with the tailor. My friend had a red and black raw silk tunic stitched, the red fabric needs to be lengthier than it is now. 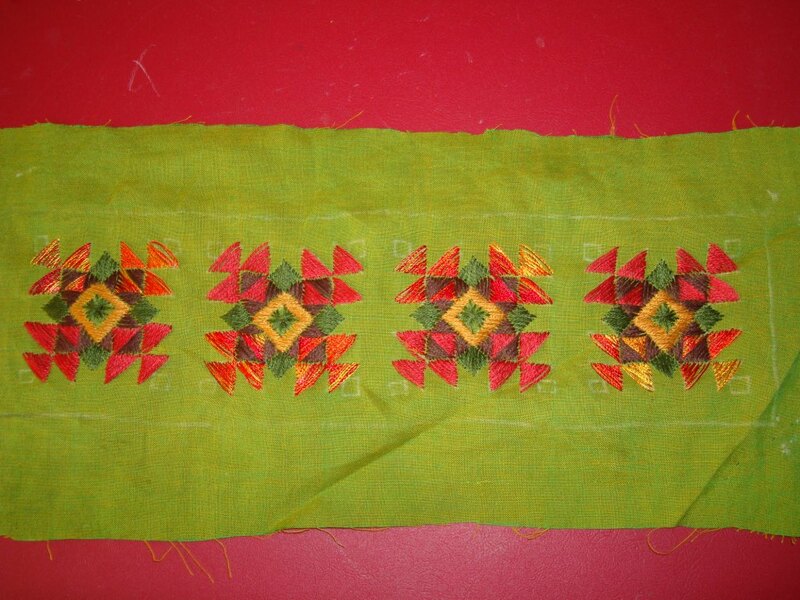 An idea of filling squares diagonally with herringbone stitch starts with 2cms marking on the black fabric. I am using two strands of cotton skein[same colour as the red fabric], I may have to work a row of back or chain stitch over it. The space is too much for the right tension. A thicker or more strands would have helped, but it would have raised the embroidery, which is not required. 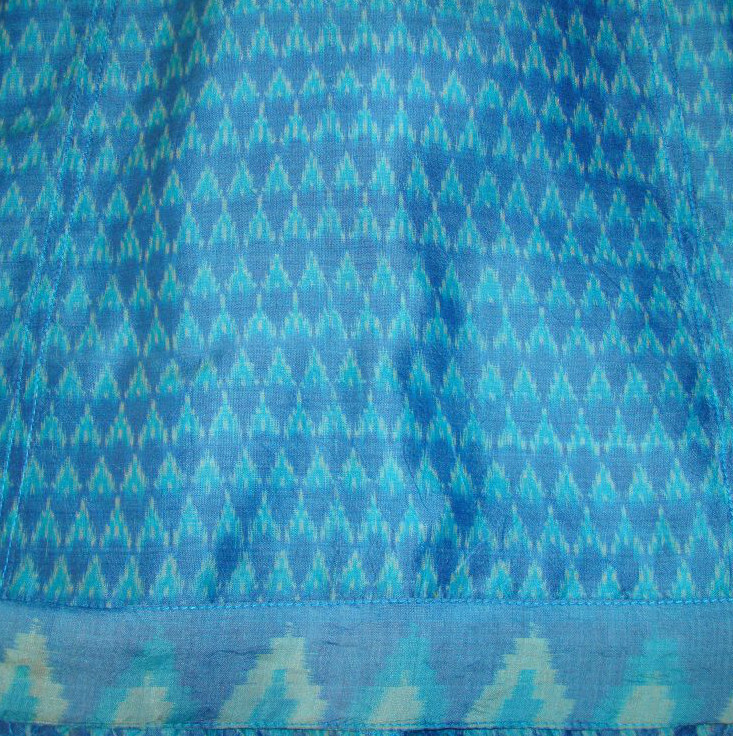 The tunic fabric is woven ikat in tussar silk. I liked the fabric design and colour. It also has a Florentine border, commonly referred to as temple border. 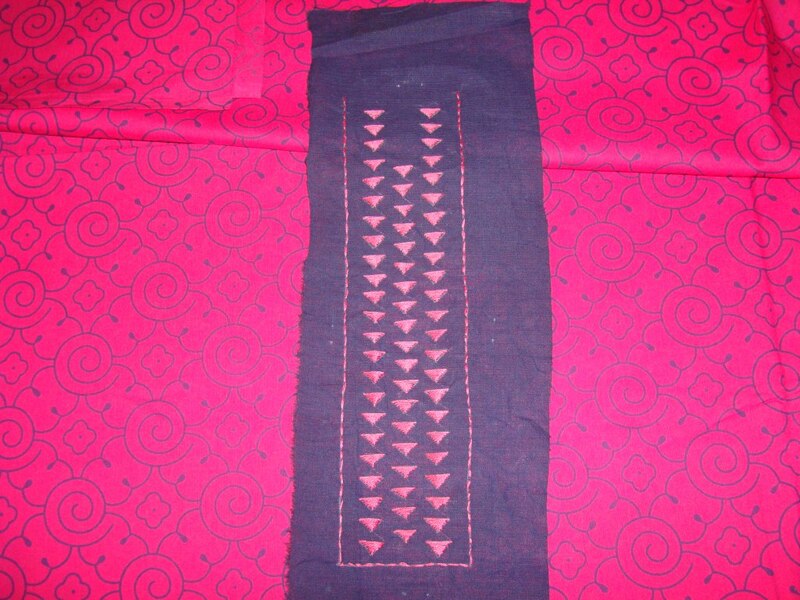 It is ideal for saree, blouse and tops. To go with this geometrical theme, I drew a pattern on graph paper. 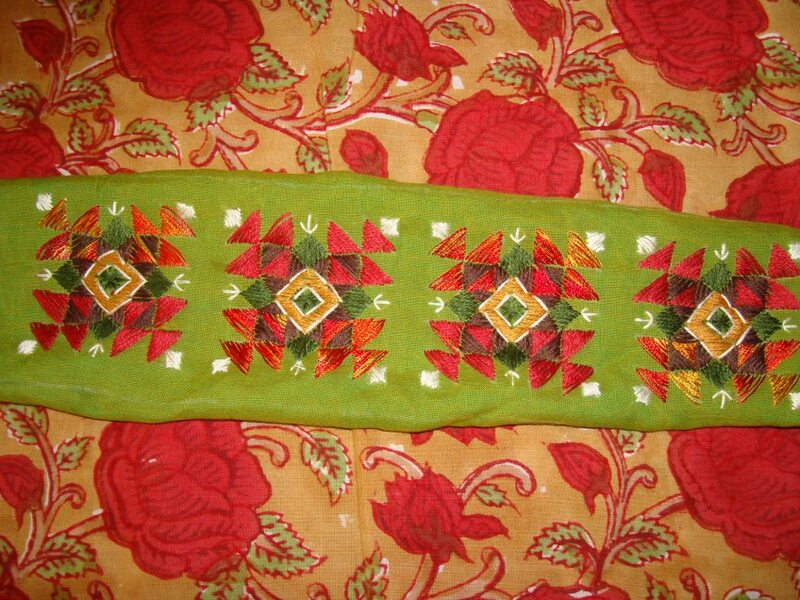 I wanted the embroidery to look like weave, so I chose phulkari embroidery, embroidery from Punjab, a state in India. In phulkari embroidery, the geometrical designs are filled with surface satin stitches. This embroidery is done on stoles, tunics, shawls, sarees and furnishings. These extra elements were added –chain stitch outline in pink, back stitch outlines in white to differentiate the degrees of the blue colour, and small white pearls for embellishment. The border of the tunic fabric was sewn on the sleeves and the front part of the tunic. The fillings were not easy to work, if looked closely, the embroidery does not look very neat. Still it was fine as a project. 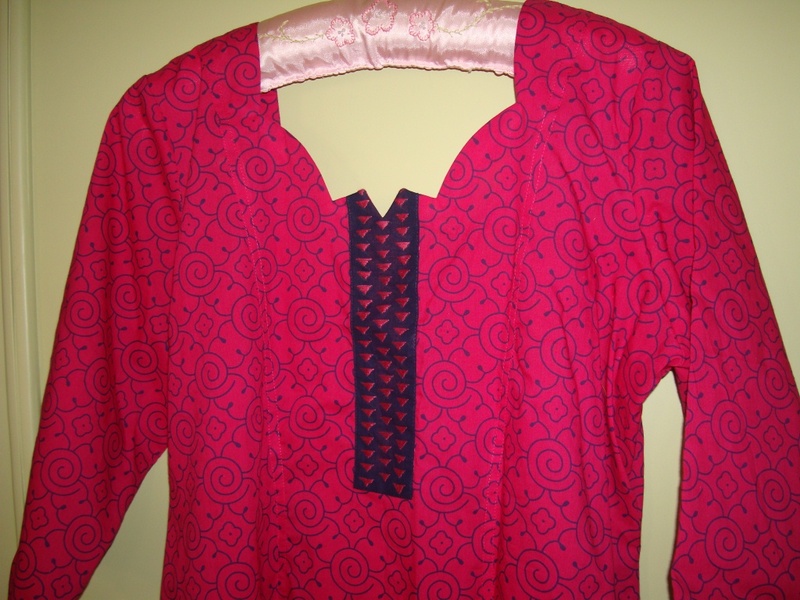 The embroidery is very simple on this block printed dark pink tunic. The fabric is cotton. Surprisingly, the fabric seems to retain its colour even after bleeding quite a bit. 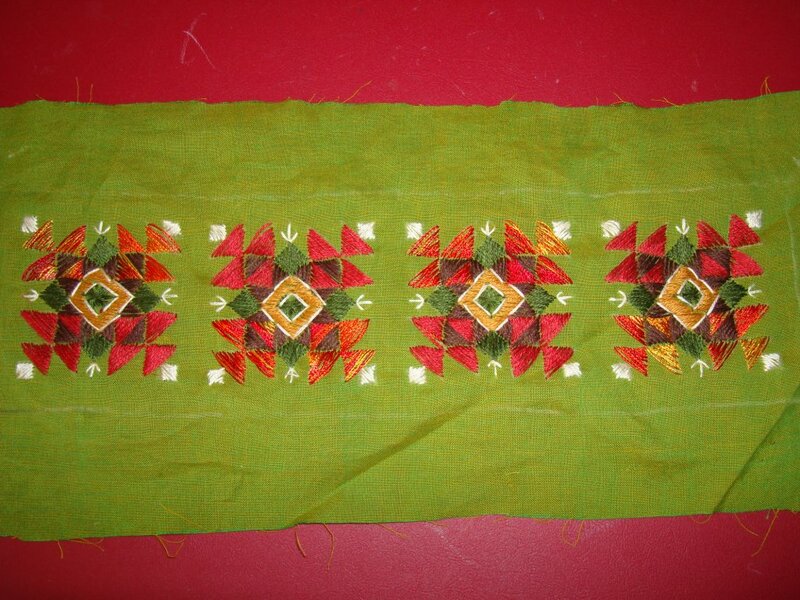 The pattern was evenly placed small triangles worked in surface satin stitch with two strands of cotton skein. This can be categorized as phulkari embroidery of Punjab, India with a modern application.The yoke placed over the tunic fabric. The sewn tunic, the tailor is creative here in designing the neck line similar to the block print pattern. 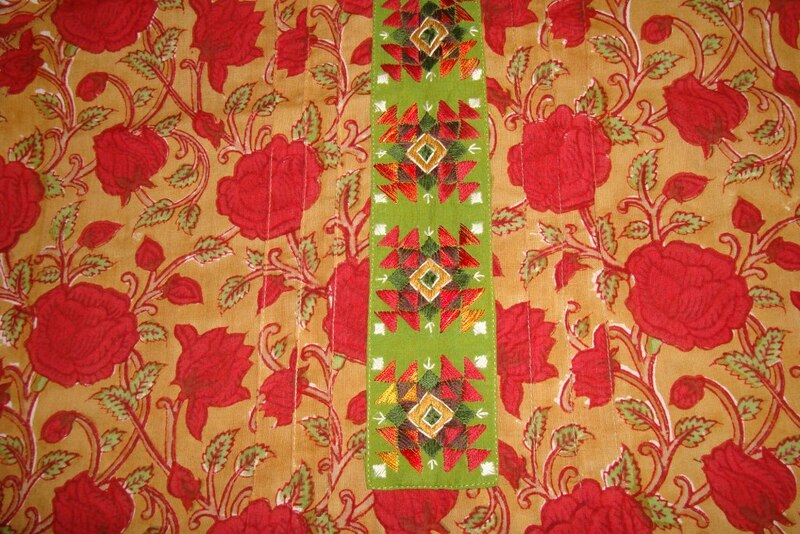 The yoke worked with phulkari embroidery is placed on the tunic fabric, since these blog posts are done from India , the pictures on these posts are not edited completely. 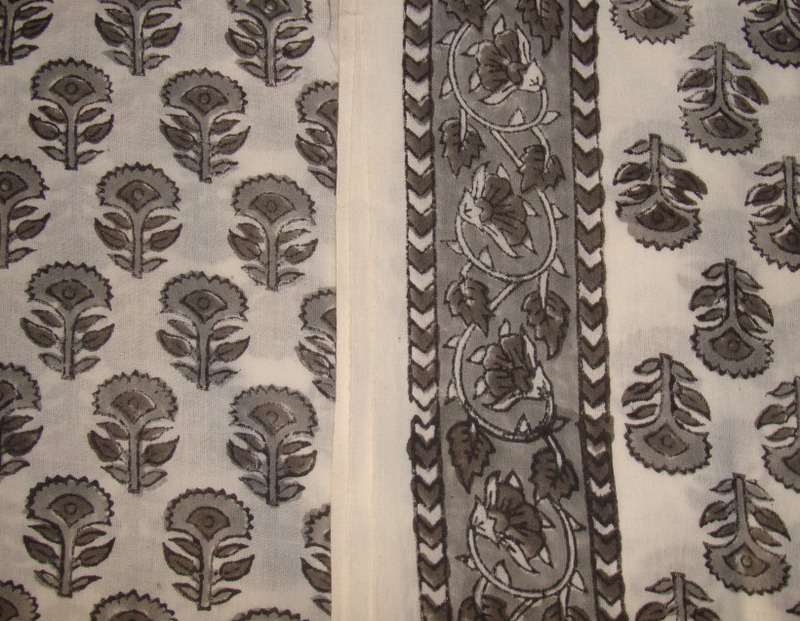 It would have been helpful to see the tunic fabric alone , to get a different inspiration for the embroidery design. 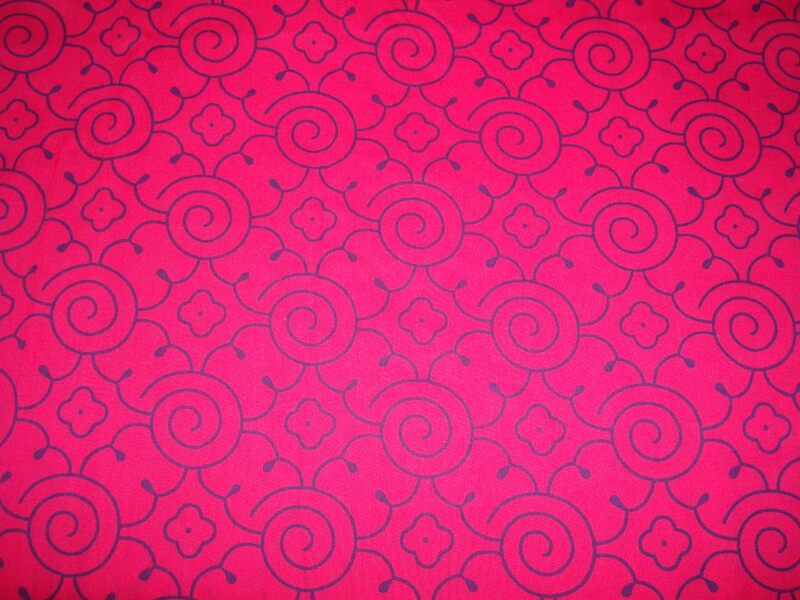 The pattern for this motif was inspired by a quilt design. 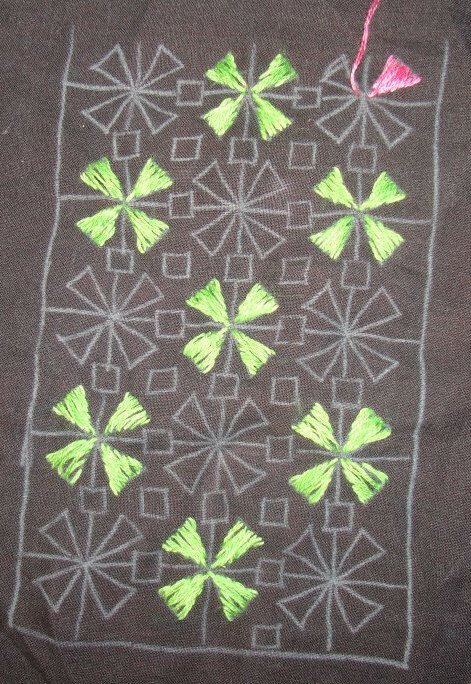 Tunic with green phulkari yoke-3. White thread is used for outlining the centre, and embellishing the corners with surface satin and fly stitches.